Eight firefighters have died on Thursday night while putting out a fire at a warehouse in eastern Moscow, the press service of the Russian Emergencies Ministry said. Emergency workers have recovered the bodies of the missing firefighters while searching through the charred remains of the building. 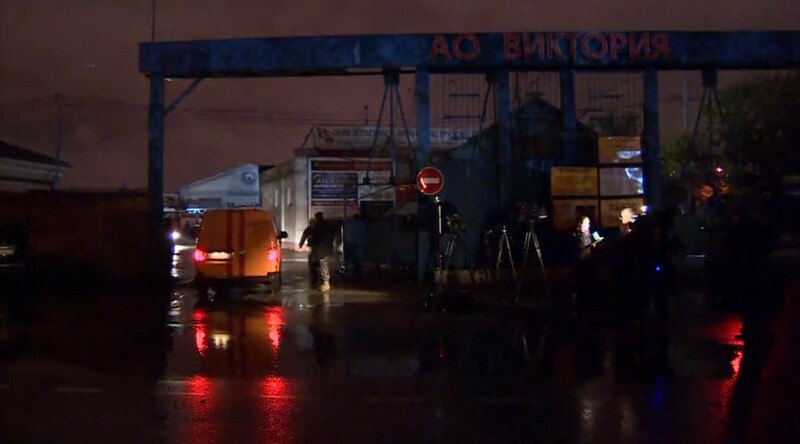 “The bodies have been discovered at the suspected location, where the main search have been conducted,” a source in the Russian Emergencies Ministry told RIA Novosti. The fire has been extinguished at 7:44 local time. A police source told TASS that during the rescue operation the roof collapsed. The firefighters have presumably died beneath the rubble. Previously, Emergencies Ministry spokesperson Oksana Zolotova confirmed to RT that five firefighters have gone missing. As many as 46 special equipment units and more than 160 firefighters and other personnel have been sent to the scene of the fire, Zolotova added. The warehouse on fire belongs to the Viktoriya factory. It was used to store artificial flowers, its owner said. The walls inside the building were not fireproof, however, which could be a reason for the rapid spread of the fire. The warehouse is located in an industrial area in northeast Moscow.